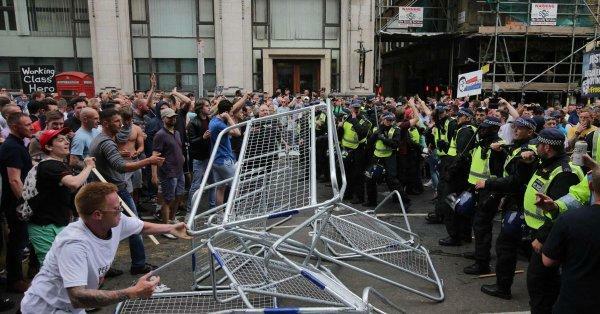 Tommy Robinson supporters gathering in London to protest Robinson's jailing clashed with police at a Whitehall demonstration amid calls to free the English Defence League founder. 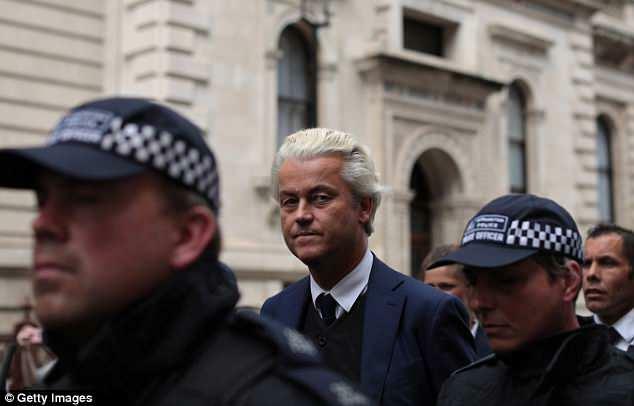 Dutch MP Geert Wilders, 54, showed up for the demonstration to call for Robinson's release. 'I am here to tell you that you will never walk alone. 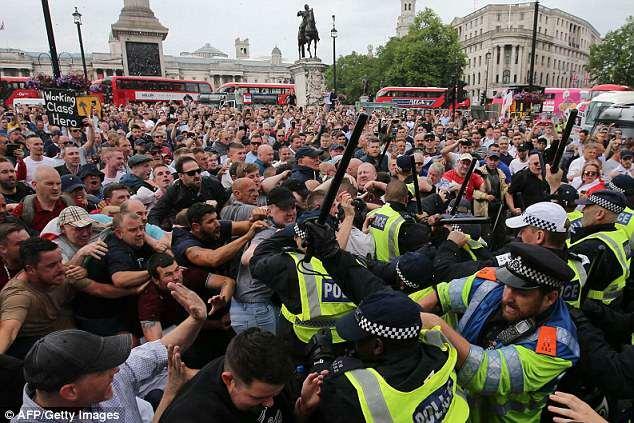 And we are here to tell the world, and the UK government in particular: "Free Tommy Robinson! 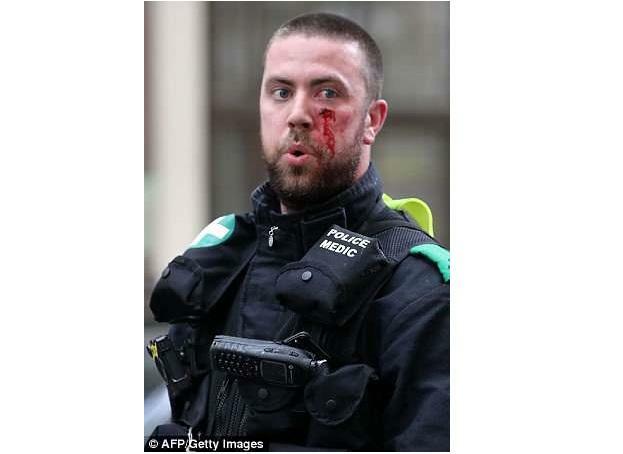 He has also taken a particular interest in the grooming gang trials - a topic seldom covered by the mainstream press, and which Robinson has been speaking out about since at least 2011.